At the beginning of this month, Young M.A revealed to her potential romantic suitors how they can consider getting noticed in her direct message box. 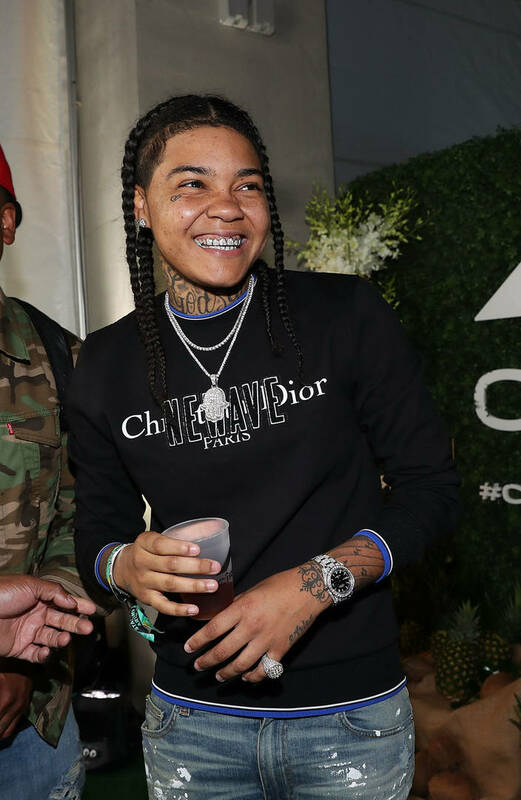 As a famous rapper, her inbox can get crowded pretty quickly so, in order to get Young M.A's attention, you've got a few steps to follow. Most importantly, you must be attractive. Women who "keep it classy" also move to the front of the line. During a recent video, M.A could be seen getting close with a girl that not many of her followers recognized. After spending time with Bernice Burgos, G Herbo's ex and others, M.A seems to have found herself a new girlfriend and people were quick to find out who she is. If Trey Songz is "Mr Steal Yo Girl," Young M.A. is "Ms Steal Yo Girl." At this point, she's landed so many of the baddest women in the world that she's been praised for her scouting talents. Clearly, M.A knows how to get her work done. The woman she's been spending the most time with has officially been revealed after internet sleuths did a deep dive from her following list, finding the model that fits the bill. The girl you may have seen on M.A's live-streams while they cuddle and kiss is reportedly Mya Yafai, who introduces herself as a model, actress, and journalism major. The two have not officially confirmed that they're dating but based on how close they got during the live session, you can safely assume that the rapper has bagged herself another baddie. Check her out below.